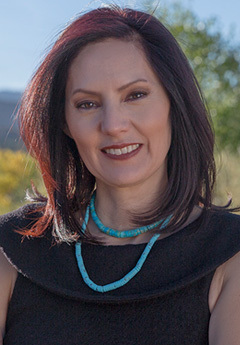 Professor Barbara Creel of the UNM Southwest Indian Law Clinic, together with the National Association of Criminal Defense Lawyers Native American Justice Committee, filed an amicus brief supporting the defendant, Fortino Alvarez, in a federal habeas corpus appeal the U.S. Court of Appeals for the Ninth Circuit. The habeas appeal challenged a tribal conviction and sentence arising out of Arizona. On August 30, 2016, Judge Kozinski, writing for the Ninth Circuit panel, filed the Opinion in Alvarez v. Tracy, case number 12-15788, granting habeas relief. The petition had originally been denied on exhaustion, and Alvarez’s lawyer, Dan Kaplan, filed a petition for rehearing. After pending for 18 months, the Ninth Circuit reached a decision and reversed the conviction, based the defendant’s right to a jury trial and notice. Creel and a team of UNM law students drafted the amicus at the rehearing stage to inform the Ninth Circuit on the subject of exhaustion of tribal remedies. Veronica Gonzales (2015), a former SILC student, led other students from the Clinic and Creel’s Criminal Law in Indian Country class in analyzing and researching the issues in Indian habeas corpus under 25 U.S.C. 1303. (See Professor Creel and Students Author Amicus Curiae Brief Accepted by the U.S. Court of Appeals for the Ninth Circuit.) The federal appellate court found in favor of exhaustion. SeeTribal Courts Face 9th Cir. Mistrust On Civil Rightsfor additional background and Creel’s commentary on the case.